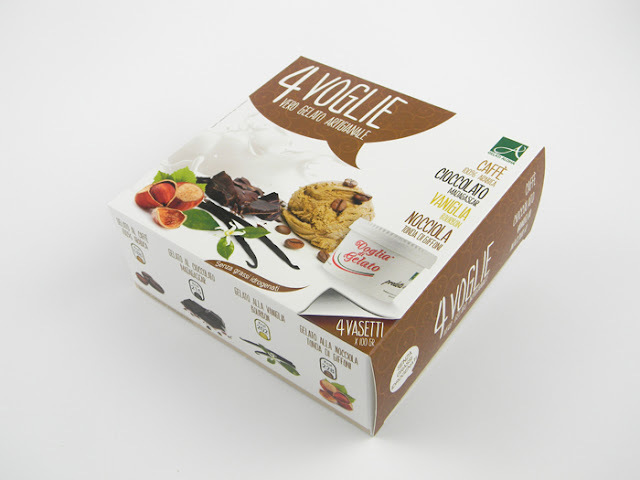 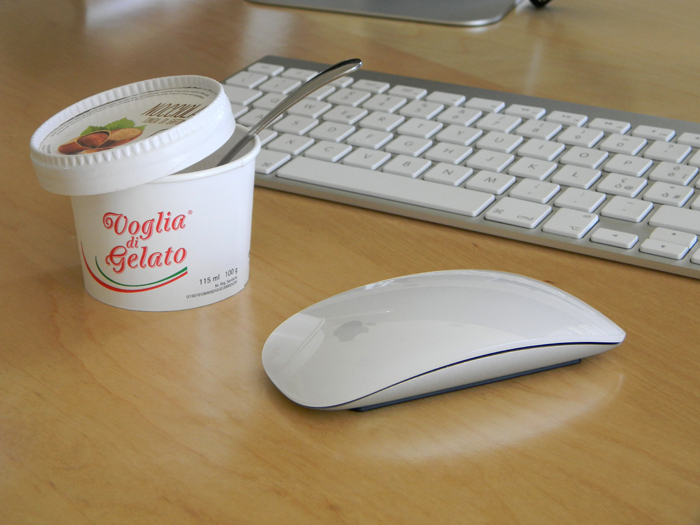 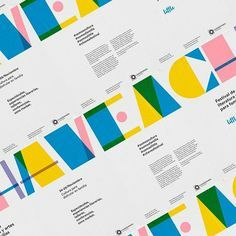 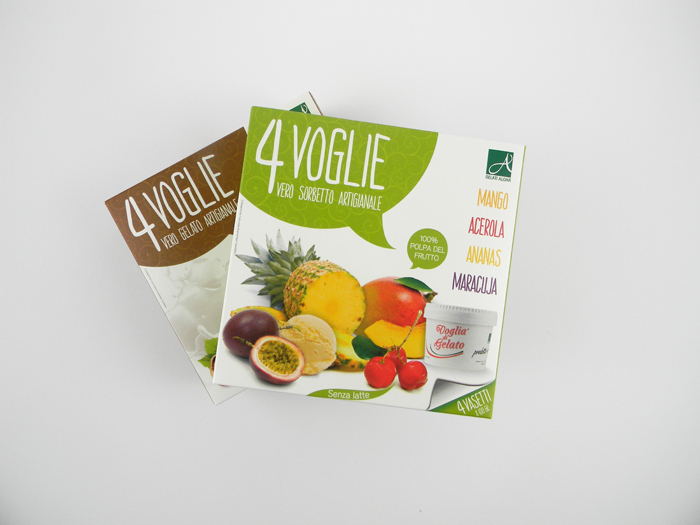 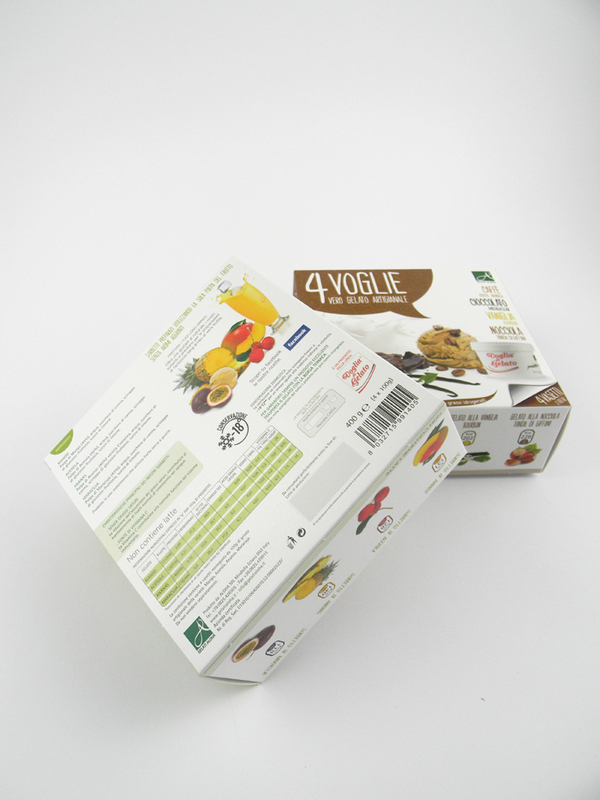 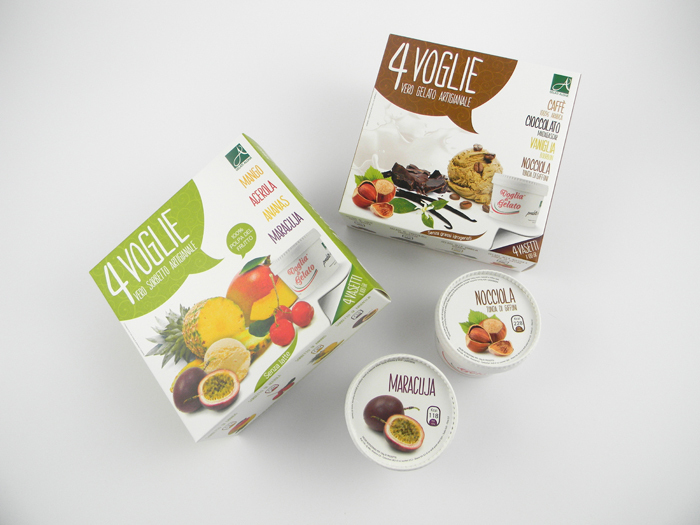 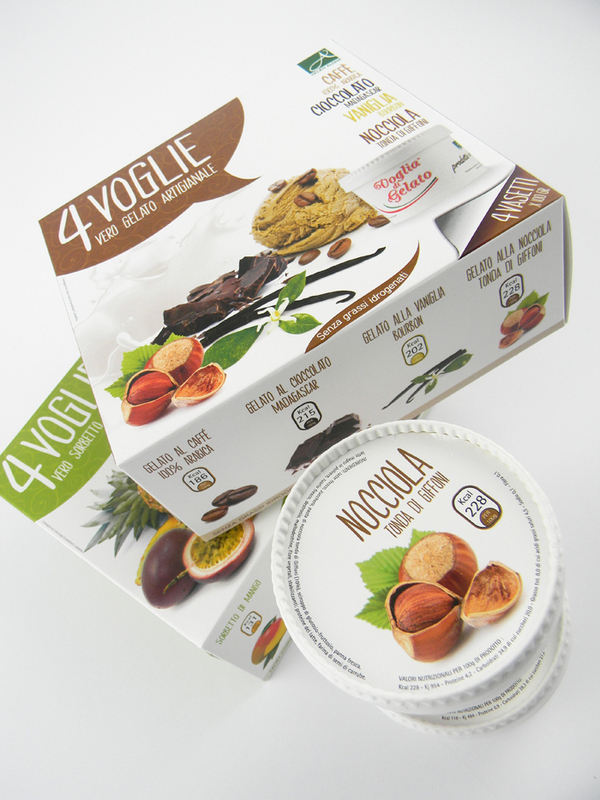 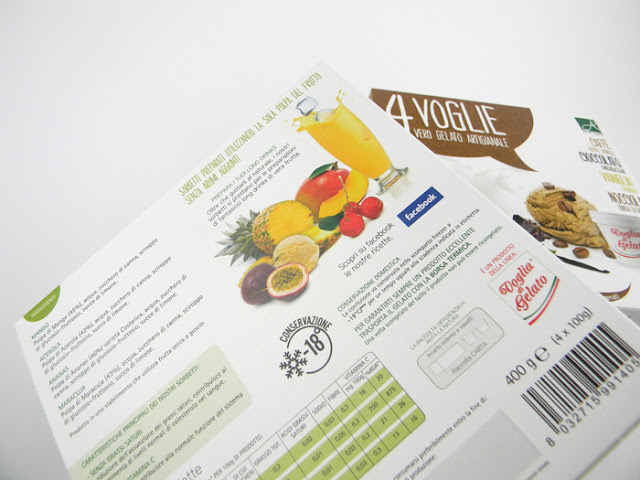 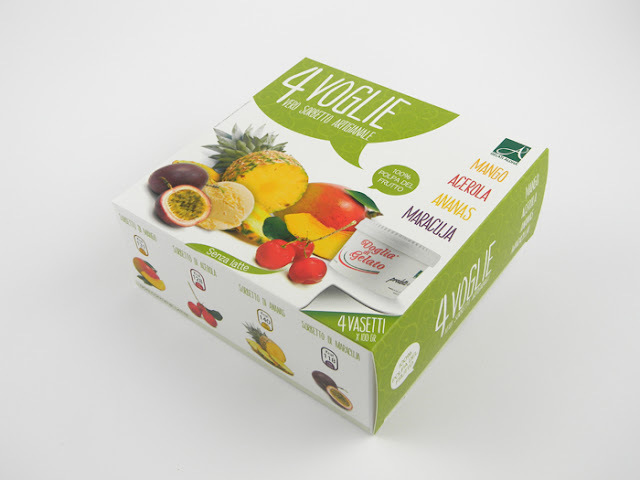 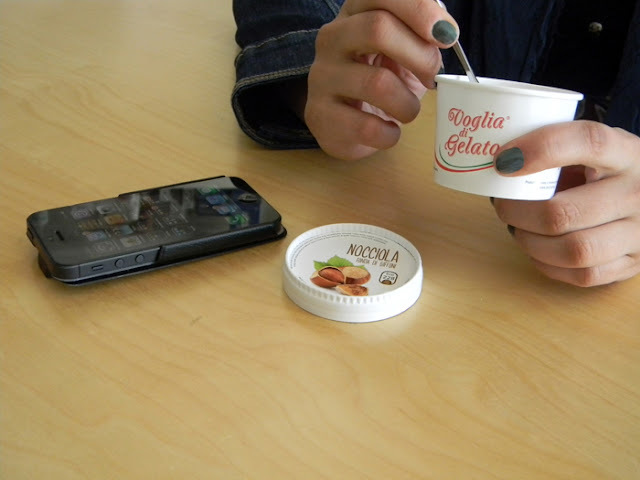 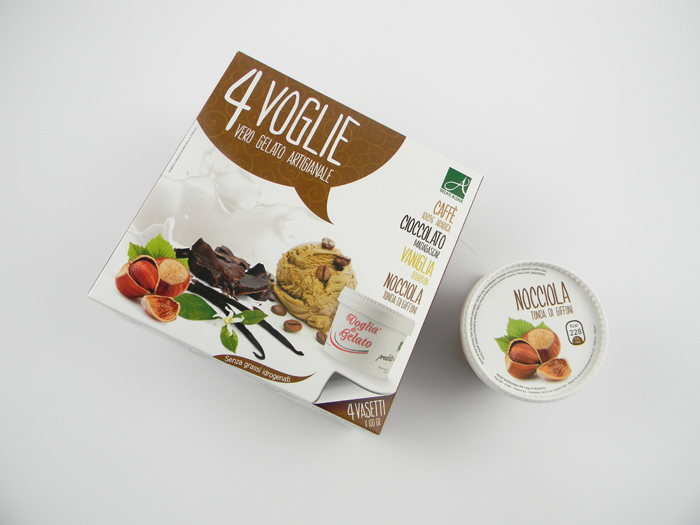 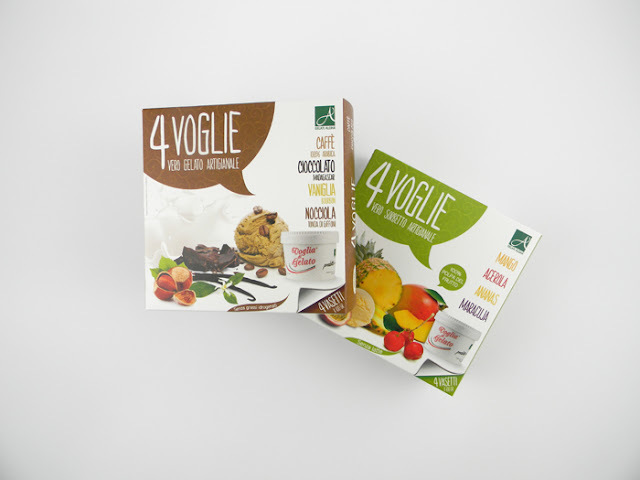 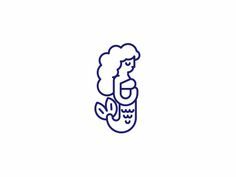 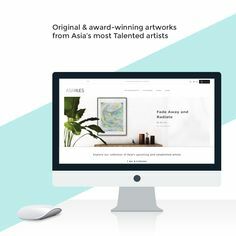 4Voglie is a line of Italy ice cream. 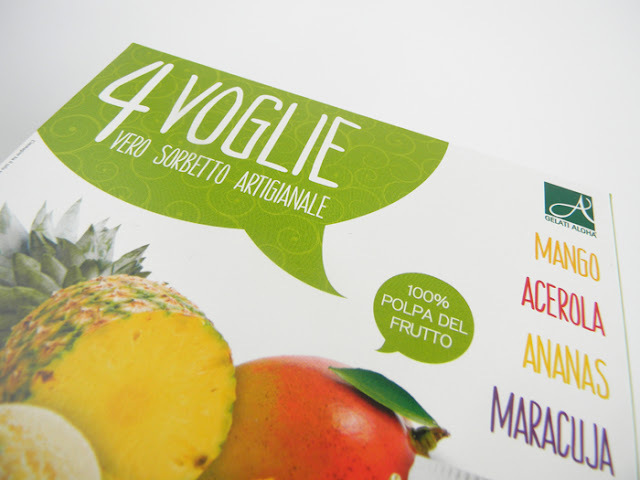 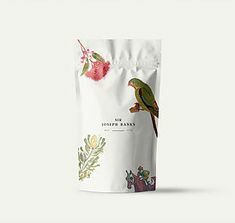 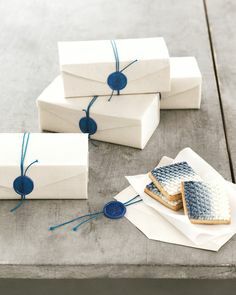 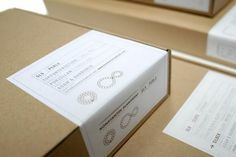 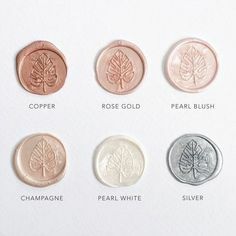 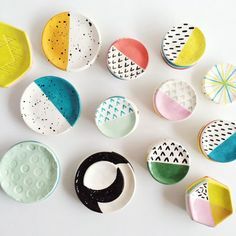 The top and body of each package are decorated with simple, one color graphics, different for each flavor of the ice cream. 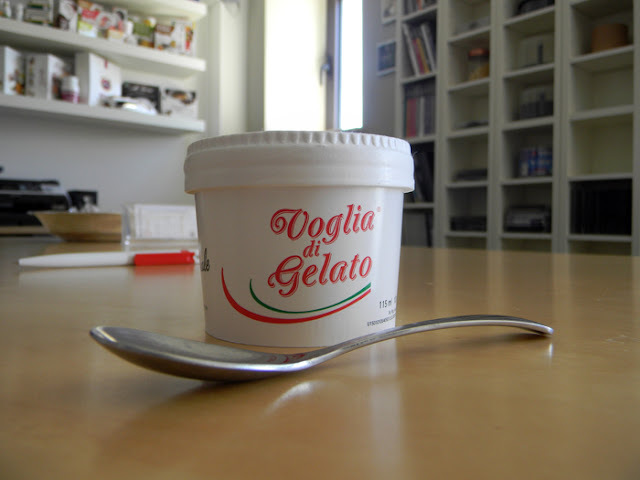 It is subdivided among flavours of fruit sorbet and ice-cream.The pleasure to enjoy the real homemade ice-cream at home.